Chelsea youngster Callum Hudson-Odoi is having a truly superb game for the Blues tonight as he adds an assist to his goal from earlier in the night. 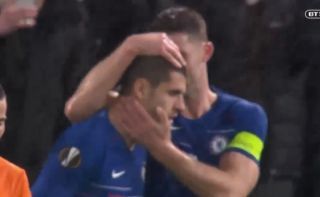 Alvaro Morata headed in well to make it 4-0 to Chelsea as they run riot against PAOK in this one-sided Europa League tie at Stamford Bridge. Maurizio Sarri rotated heavily this evening with a number of young players and squad players involved, and Hudson-Odoi is really showing his class.